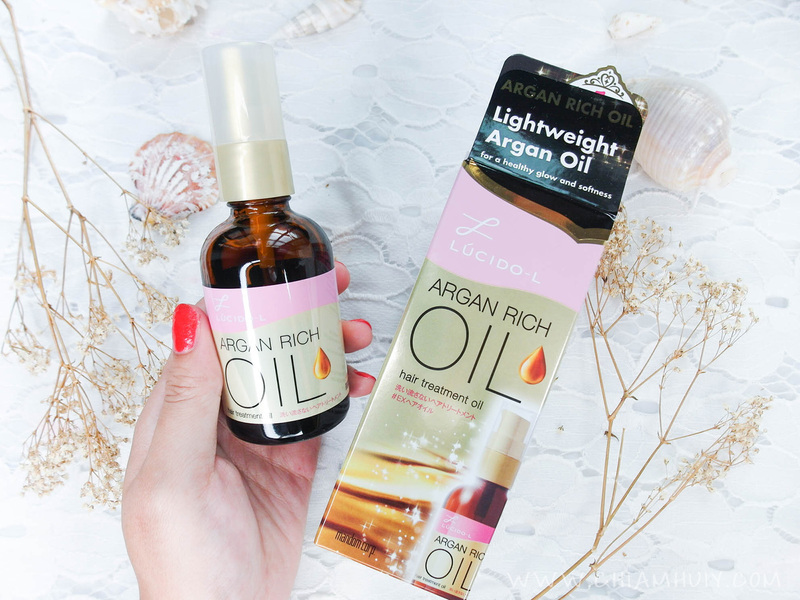 Posted by Editor on Aug 13, 2018 in Beauty Buzz | Comments Off on Why Argan Oil is the Only Skincare Product You Need? 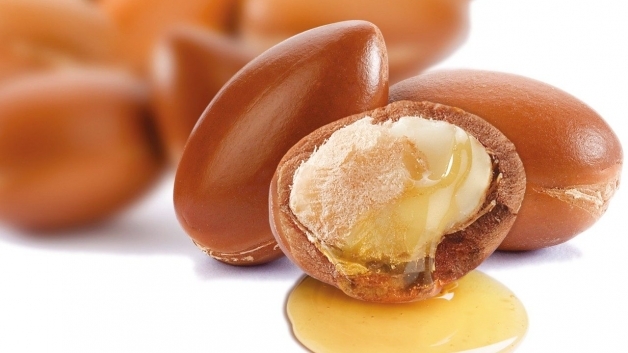 When we talk about argan oil, the first thing that comes to mind is shiny and bouncy hair. However, this ‘miracle’ oil also offers wonderful skin benefits, making it one of the key ingredients that cosmetics and skincare brands use on their products. What really makes it so special? Why is it a common ingredient among beauty products—from make-up removers and face wipes to lipsticks and foundations? Regardless of your skin type, argan oil works well for you. Dry skin gals can benefit a lot from its moisturizing properties. But what’s more amazing is that even oily skin girls can enjoy its skincare properties. It’s balmy and non-greasy texture makes it easy for the skin to absorb the oil without clogging the pores. Those with sensitive skin, as long as it is 100% argan, there shouldn’t be problems with pimples, textures and redness of the face when using this beauty oil. 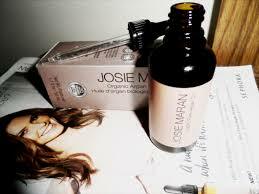 Because it’s natural, 100% argan oil can be safely used around the eyes—the most delicate part of the face. Its vitamin E content can help reduce fine lines and dark circles. While a drop of this oil is enough to cover both eyes, you can mix it with a drop of other natural ingredients to make a more effective eye serum. Argan oil is light and moisturizing enough to be used as a daytime moisturizer, underneath your make-up; and hydrating and rich enough to be used as a night time serum. That’s two products for the price of one! Argan oil is great for the hair, so why not use them on your lashes as well (and on the brows, too!)? It can serve as conditioner and growth-boosting agent to help your lashes grow longer and thicker. Warm a drop of argan oil between your fingers and rub it gently onto the lashes. If you have clean mascara wand, you can use it to comb and evenly apply the oil onto your lashes. Is your vanity overcrowded with bottles, tubs and sprays of different products for different purposes—all for the love of flawless skin? If so, invest in top-quality argan oil, which can replace most of your skincare products. Argan oil is an effective day and night serum, eye serum, anti-aging agent, aftershave balm, lip balm and acne-treatment—all in one bottle! So go ahead! Run to the nearest Sephora or your favourite skincare boutique and grab yourself a bottle of this miracle, all-in-one oil. Petroleum jelly isn’t the first thing that would come to mind when you’re thinking about makeup bag essentials. It’s one of the unsexy beauty products that we don’t remember buying, but we all have a jar of it lying around our room. 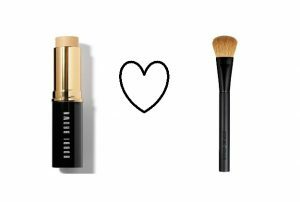 While it might not be the first thing you’ll reach for in your daily routine, it’s certainly one of the best multitaskers in the beauty department. From smoothing your strands to taming your eyebrows, we listed down some of the best ways on how you could incorporate this versatile item into your beauty regimen. Tired of using the same eyeshadow palette every day? Create new shades by mixing two to three eyeshadow colours with your petroleum jelly. It’s a cheap and easy way to get pretty new shades, or even an entirely new palette. Taking off false eyelashes requires extra care so as to avoid ripping off your real lashes. However, the adhesive glue that’s keeping your falsies in place can be quite difficult to remove – and that’s when your petroleum jelly enters the scene. All you’ve got to do is apply a bit of jelly over the glue, wipe it off with a damp cloth, and you’ll be falsie-free in just a snap. Removing eye makeup often takes a considerable amount of time since you need to repeatedly wipe your eyelids until there’s no single trace of eyeshadow left. 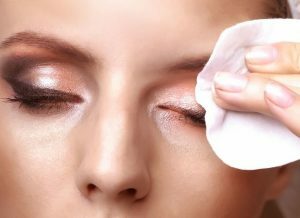 To remove your eye makeup faster, simply dot petroleum jelly on your lids, then wipe it off using a cotton or facial tissue. Cream blush is capable of giving your skin a dewy finish, which is why most makeup junkies prefer using this formula to nail that au naturel look. But instead of purchasing a new blush, try making your own. All you need to do is mix a good amount of petroleum jelly with your favourite lipstick shade, and you already have a cream blush in a unique shade. Dreamt of having cheekbones like that of a supermodel’s? Well, you can achieve just that by dabbing a bit of petroleum jelly across your cheekbones. Whenever the light hits your face, you’ll achieve a gorgeous contoured and dewy look. 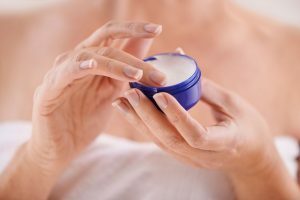 After knowing the greatness of petroleum jelly, we suggest that you incorporate it to your beauty stash ASAP and give the aforementioned tricks a try. Just make sure that you purchase a hypoallergenic and non-comedogenic petroleum jelly to ensure that it’s perfectly safe to apply on your face. For every woman, the satisfaction you get from emptying your beauty product is just incomparable. There’s a sense of accomplishment that only a true beauty junkie would understand. But how do you exactly dispose the product’s container once it’s emptied? Well, it certainly won’t make sense if you’d still keep them on your beauty stash. To help you deal with that, here are some simple and eco-friendly ways to get rid of your empty beauty products. One of the basic rules in recycling is cleaning an empty container before tossing it away. Before heading straight to the sink, however, you should first ensure if the product you’ll be discarding is safe to be flushed down the drain. So unless your beauty product is all-natural or non-toxic, it’s better to just use it all up than mix unknown chemicals into the waters. That pretty tub of moisturizer should look cute as something else –an earrings jar or a pencil holder, you decide. The possibility is just endless. Your used lipstick? You can depot it and recycle its tube. If you’ll just clean it, you can definitely reuse it. 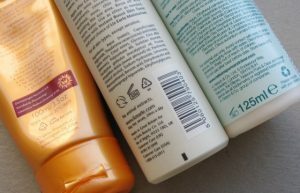 Most brands place the recycling logo on their products if they’re recyclable. Once you’ve confirmed that a particular product is recyclable, you can simply surrender it to a recycling facility near your area in Singapore – or just toss into the right trash bin. Compostable products refer to anything that’s biodegradable, such as cardboard and paper. This can be the packaging or the product itself. Some brands have biodegradable makeup wipes, cotton pads and other compostable tools, which you can throw in the trash without a second thought. Just ensure that they’re thrown in the right trash bin, though. Being conscious about your beauty consumption has its own perks. For instance, surrendering a certain number of product containers to its store could get you a free beauty items like face masks. Some brands also accept containers as a part of their outreach program for local communities. 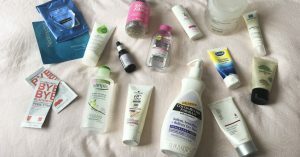 If the brands you’re using don’t practise recycling programs, you can simply collect and clean your empty product tubs or bottles to get extra bucks. All you’ve got to do is sell them to a junk shop or a recycling plant and you’ll get some money in exchange. 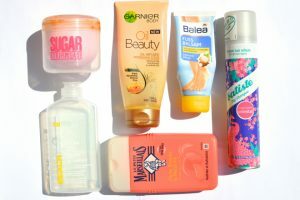 Knowing how to properly dispose or recycle your beauty product containers will definitely help improve your beauty practises. 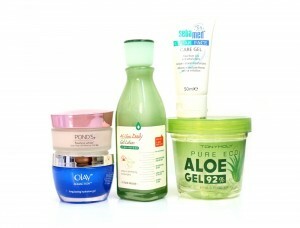 So be sure to keep these recycling tips in mind to enjoy a more eco-friendly beauty experience. If you think that shampooing and conditioning your hair is all it takes to achieve gorgeous, shiny tresses, then you’re wrong. Achieving perfect-looking strands need a lot work, but by using the right hair products and getting the right hair treatments, making your hair look stunning should be easy. With that in mind, we listed down some of the hair treatments that you could do on your own to give your strands its much deserved TLC. Unlike the conditioners you use regularly, hair masks are capable of penetrating deep into the hair cuticle to bring back moisture and repair damage. Just keep in mind though that not all hair masks are the same, so be sure to purchase one that’s specifically made for your hair type. For best results, use it once a week or every two weeks. Whether you’re dealing with hair loss, dandruff or just want to get soft, shiny tresses, giving yourself a hair spa treatment should already do the trick. Similar with hair masks, hair spa products are made for different uses so make sure that you get the right product for your hair care needs. All you’ve got to do is generously apply it on your scalp and hair after shampooing, leave it on for 15 minutes then rinse. You can also use it as an alternative for your daily conditioner to get amazing results. Tired of managing your dry and frizzy hair? Then give your tresses the hot oil treatment it deserves. Apart from restoring the moisture of your strands, hot oil treatments also fight dandruff, prevent split ends, and promote hair growth. Simply apply coconut or olive oil on your hair, cover it with a shower cap and rinse after 15 to 20 minutes. For ladies who are always on the go, those one-minute hot oil treatment products would be your best bet. Give your locks a subtle hue and a boost of shine with cellophane treatments. This process helps by locking in the moisture in your hair cuticles, as well as restoring the normal texture of your hair. Its colour will only last for several months, making it less damaging than semi-permanent hair dyes. By performing these hair treatments, achieving shiny and gorgeous locks is now easy. So make sure to give your strands all the extra TLC it needs, so you can enjoy that stunning hair whenever you want. 1.Wash your face before you hit the sack. 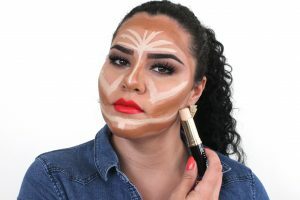 Before you go to sleep, you should wash off the dirt in your face and especially your make-up. Let your skin breathe at night time and make sure that it is clean as much as possible. 2.Sleep Early. Do not deprive yourself from sleep. If you sleep late, your blood circulation will lower which would cause your skin to look pale and dry. Sleep as early as you can so that your skin can rejuvenate. 3.Avoid sunbathing and tanning. Restrain yourself from these activities as they harm your skin more than you know. Although your sunscreen can help you but it can’t protect you forever. Too much sun exposure could not only give you age spots, acne and other sun damages but it could really hurt you and your skin’s health. 4.Use moisturizing soaps and creams. 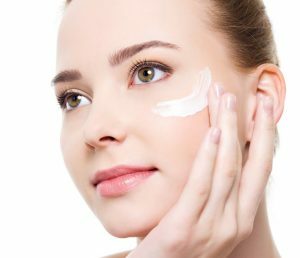 To keep your skin more hydrated, youthful and glowing, apply moisturizing creams before you go to sleep at night and after you take a bath in the morning. You can also use soaps that are moisturizing and not those deodorant or anti-bacterial soaps since they dry up your skin. 5.Exercise. Sweat yourself off in order to help maintain your body’s blood circulation and eliminate toxic chemicals that usually build up under your skin. 6.Exfoliate. Scrub off your old and dead skin cells to help renewed cells become more vibrant. You can use a loofah every day to keep ingrown hairs and scaly skin under control. You can also use exfoliating face wash and cream in order to lighten your face without scrubbing and irritating your skin too much. 7.Eat fruits and veggies. Your source of vitamins and nutrients of course comes from what you eat. Eat healthy all the time especially with fruits rich in lycopene, food and veggies rich in zinc and vitamins as they are good for the skin. 8.Drink an extra glass of water. Hydrating yourself with pure water is an essential component of a healthy skin. It is paramount that you drink eight glasses a day or more if you live in a warm place or if you are active in sports and other activities. 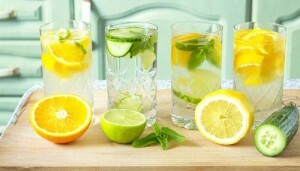 Drink as much as you can in order to avoid dry and dehydrated skin.